We risk reversing progress on global hunger and climate change if we don’t change current biofuels targets in the UK reports ActionAid UK's Jonathan Tench. We risk reversing the progress we’ve made on global hunger and climate change if we don’t change current biofuels targets in the UK, warned the Nuffield Council in a major report today, covered by the Telegraph, Daily Mail, BBC and Guardian. This backs up what we’ve been saying at ActionAid for some time. The report comes at a critical time for decision makers in the UK. The Department for Transport is currently consulting over the UK’s use of biofuels, under EU targets to use more renewable sources for transport fuel. What’s the problem with biofuels? Food prices are being driven skyward partly by the increasing demand from rich countries for farmers to grow maize and other crops to put in our cars and not on our plates. Turning more food into fuel has had a devastating impact on the ability of the world’s poorest people to put enough food on the family table. The World Bank says food prices have tipped an extra 44 million people into hunger since last summer; we could be on the verge of a repeat of the food price crisis of 2008. More, biofuels will not help us tackle climate change; it will actually make matters worse. Recent research shows that when a full life cycle analysis is conducted on industrial biofuels – which must include all land use change – the net effect of UK biofuel policy is to increase greenhouse gas emissions. The UK could be adding up to 13 million tonnes of green house gas emissions into the atmosphere, the equivalent of putting 6m extra cars onto UK roads. Biofuels targets provide an incentive to large multinational companies to oust farmers in poor countries from their land. In just five African countries, 1.1m hectares have already been given over to biofuels – an area the size of Belgium. Just recently in Kenya, we have been working with people that are in danger of losing their land to a giant biofuel plantation, which once completed will result in up to six times more carbon emissions than fossil fuels. UK and EU biofuel targets must be scrapped. Instead, the government should be prioritising genuine ways of reducing our reliance on fossil fuels by supporting non-biofuel renewable energy in transport, including electric vehicles, investing in public transport and improving the fuel efficiency of cars. These options should not entail major changes to peoples’ lifestyles and will be of huge benefit to the world’s poor and hungry. Join ActionAid’s campaign and call on the Department for Transport to scrap the UK’s biofuel targets. Totally agree. In fact all this climate change stuff should be scrapped. We’re all working our backsides off to line the pockets of a bunch of wealthy people with windmills and solar panels – subsidies hidden in our energy bills. Where is the facts????? This is just another ideological, quasi-dogmatic rant from ActionAid, one of the mainy Big Green, Corporate NGOs. It is clear that Mr. Tench is not an expert on biofuels, displaying such a clear lack on understanding of the wider food economy, the energy sector and biofuels in particular. This article article only includes two FACTS: 1/ that the Department for Transport is currently consulting over the UK’s use of biofuels, and 2/that the World Bank says food prices have tipped an extra 44 million people into hunger since last summer. These are facts. The rest is just neo-colonialist rhetoric, dressed up as factual knowledge and foney concern for Africa. If ActionAid were really concerned about Africa, maybe they should focus there attention on the oil problems there, in places like Nigeria. But they won’t. Why? Because they know they can not win against Big Oil, and biofuels are an easy target. Beaurocrat: This is a blog not a court of law, Mr tench does not need to flood us with facts he is simply giving his view. I also note that you did not offer any ‘facts’ of your own. I have been able to open all the links in this piece EXCEPT the one to “recent research” on the greenhouse gas effects of biofuels”. The World Bank link tells me that the rise in food prices across the range of commodities is weather-related. Jonathan Tench implies that 44 million people have been tipped into poverty by biofuels – clearly NOT true. Has the link on recent research on greenhouse gas effects been erased because the comment that UK COULD be adding to greenhouse gas emissions is also NOT true? A pity as this degrades the work the valuable work that Action Aid does in combating hunger. 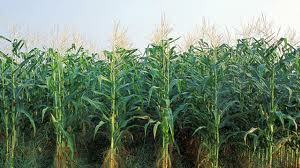 The World Bank report links the correlation between biofuels production and food prices.